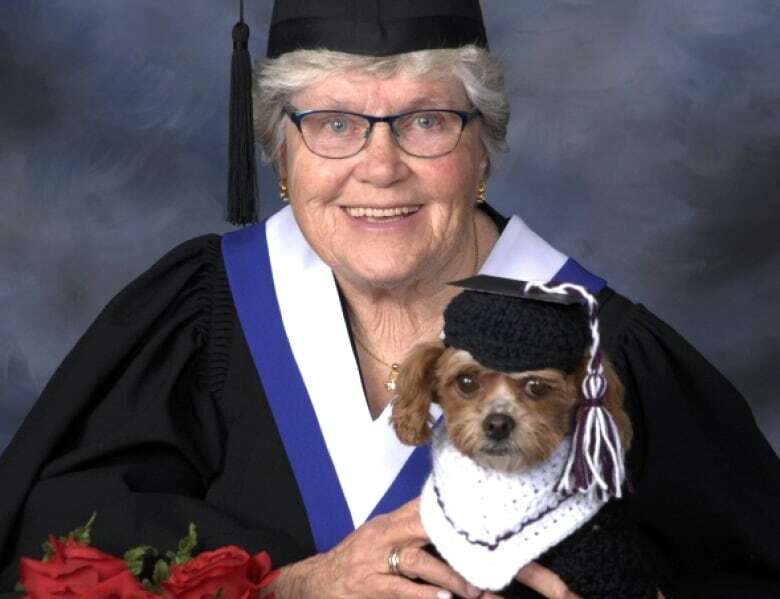 She was told she was a stupid girl, but after decades of doubting her own capabilities, 76-year-old Monique Trottier will cross the stage this summer to accept her high school diploma alongside her granddaughter Brittny. 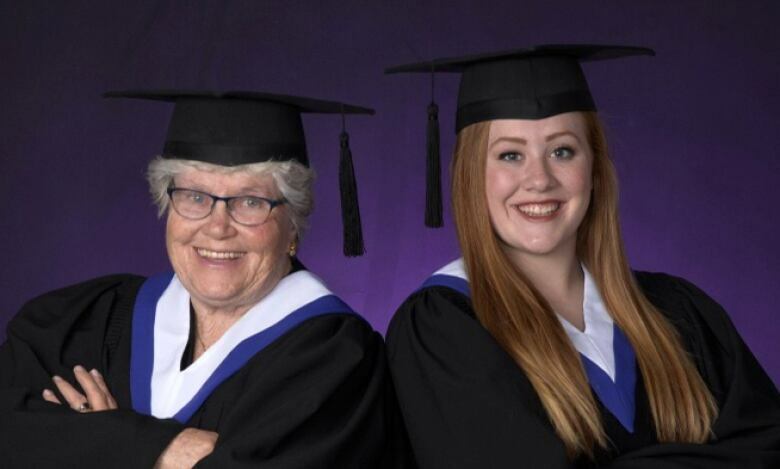 She was told she was a stupid girl, but after decades of doubting her own capabilities, 76-year-old Monique Trottier will cross the stage next month to accept her high school diploma alongside her granddaughter Brittny. The mother of five, grandmother of 13, and great-grandmother of seven is affectionately known as Nana at the Red Deer Public Schools Alternative Program. 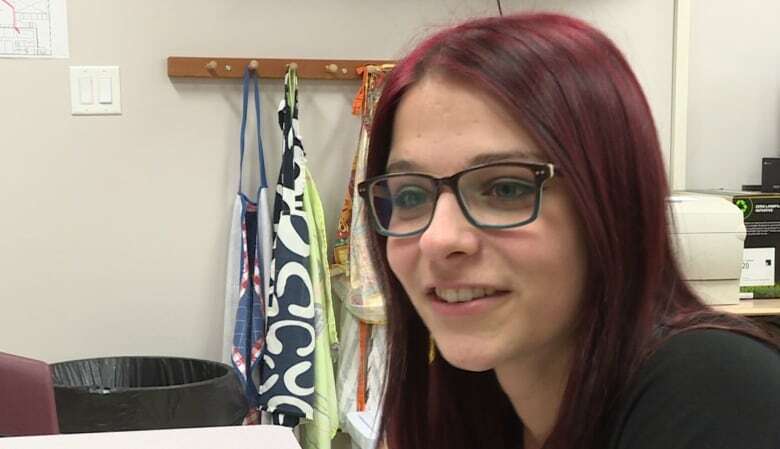 Before she started attending the school as a student in February, Trottier volunteered for two years in the school's office. Surrounded by students pursuing their studies, she said she would often think to herself, "I wonder if I could do that." As the youngest of five children, Trottier never got to go to high school. After she completed Grade 5, her parents encouraged her to get a job to help support the family. It didn't seem like a sacrifice at the time. With undiagnosed dyslexia, Trottier didn't imagine she'd make it very far in school. "When you're told as a child that you're stupid, you believe it," she tearfully recalled. But as she got older, the absence of a high school diploma became "one of those nagging things that drove her crazy," said Trottier's daughter Tammy Keeping. A commonplace conversation between Trottier and a struggling student at the school got the ball rolling again in January. To encourage him, she told him, "'I'm gonna be here when you graduate from high school,' and he said, 'Well, I'm gonna be here when you graduate from high school,'" recalled Keeping, who was part of the conversation. That got Trottier thinking. "I guess you could say it was on my bucket list. That some day, I would be able to do that." Before she knew it, the school's superintendent caught wind of the conversation. Trottier began high school classes the next month. 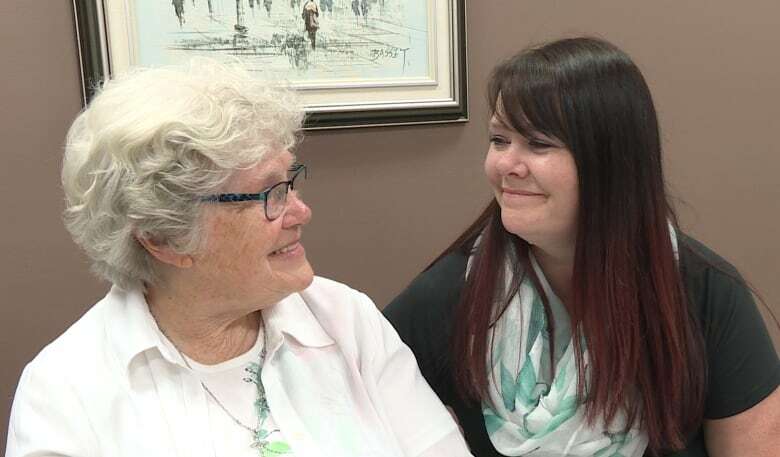 Between her Aboriginal studies, science and English classes, Trottier occasionally bumps into her granddaughter Brittny Berekoff in the halls. That's just fine by the 17-year-old. "I thought it was pretty exciting that she was gonna finish school, because I've known that she's always wanted to," Berekoff said. "She's always been so smart, from what I saw." The other teens at the school see Nana as an inspiration, a resource and a "living, breathing angel," according to student Tessa Basler. Nana's never hesitated to offer Basler a ride home or a hot meal when needed, and she's been a healthy source of academic competition for the 19-year-old. "It's totally mind-blowing to the fact that learning never stops," Basler said. "This woman's amazing. Working alongside her has been — it's inspiring. She's pushed me. She's actually kept me going. Otherwise, I would've just said, 'Screw it.'" For Nana, being an inspiration is almost as rewarding as the diploma she's about to earn. "'If Nana can do it, we can do it too' — that's important to me. To be able to encourage," said Trottier. "I'm hoping that by being here, I can encourage the young people today to go for it. You can do it." And even though she'll be 77 when she graduates high school in June, she has no plans to stop chasing her dreams. "I want to go on, maybe to Red River College and see what they've got to offer. ... I'd love to learn sign language. I'd love to do art work and different things," she said. Keeping, who teaches food studies at the school, said watching her mother study hard and earn the highest mark in her science class and score above 90 in her Aboriginal studies class has been "surreal." "Watching all of this happen, it's beautiful, really. Watching her befriend all these kids, and having the kids look up to her and enjoy her," Keeping said. "She just had no idea that she was that smart. We all did." As for Nana, she's not really thinking about her own graduation. "My granddaughter, Brittny, is graduating. I don't want to take anything away from her," she said. "I'm just tailing behind," she joked. Her classmates, however, don't see it that way. They're pretty sure Nana's achievement will garner the loudest cheers of all. "It's gonna be such a cryfest," said Basler, who regards Nana as her own grandmother. Keeping is not sure how she'll keep it together on June 23, graduation day. She and every other staff member will shake the hand of each graduate as they cross the stage, and just thinking about it brings tears to Keeping's eyes. "I'm not sure how I'm gonna do it when I have my mommy, and then my baby," she said, laughing through her tears. "It's gonna be a good day."